Located on the basement floor. Accessible from the 12th Street side of the Court House Square. 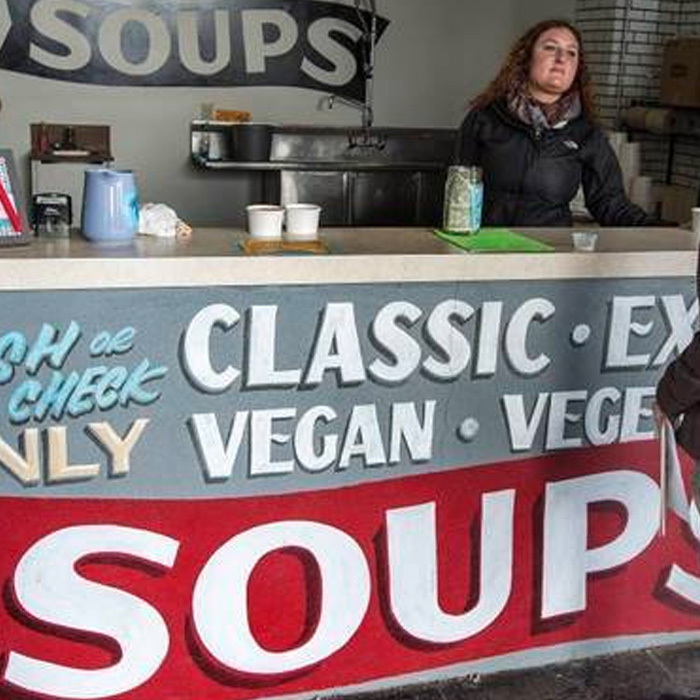 By now Infinite Soups is considered a Tacoma mainstay. Their unique model features dozens of rotating flavors of handmade soup every day, with an emphasis on flavor and diversity. The walkup window at Court House Square allows for a quick, grab and go experience for downtown workers and students on lunch break. Feel free to eat in the outside courtyard or the Outpost cafeteria as well.